As we rake, sweep and blow away the final leaves of autumn, we might wonder why they’re there – on the ground, that is, and not in the trees. One reason was made clear here in 1987 when, on Oct. 4, a mere three inches of snow fell on leaves that were still healthy and green. The weight of snow-laded leaves felled countless limbs and trees, and knocked out power as long as four days. Broad leaves and snow just don’t mix on most large plants. So as snow season approaches, trees shed their leaves, a process called abscission. 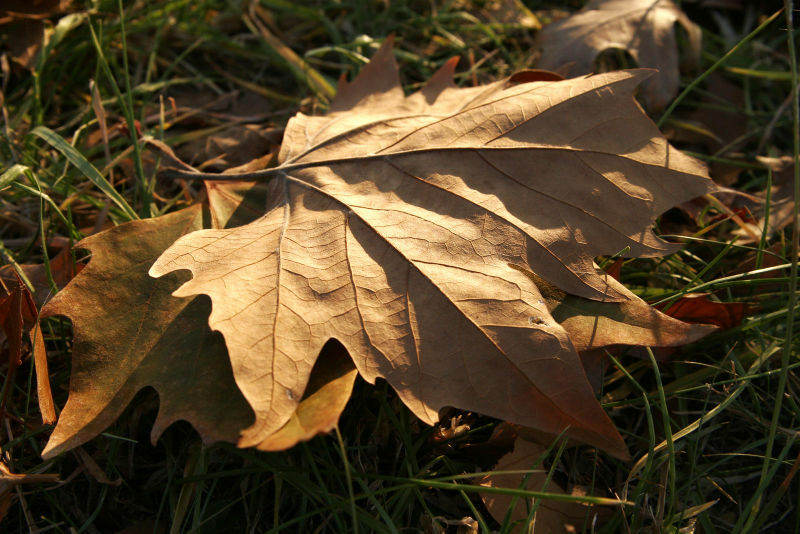 In the fall the tree produces an “abscission layer,” a waxy substance at the base of each leaf stem. This substance, called suberin, first cuts off food and water to the leaves, resulting in the color changes. Then, suberin’s added weight helps sever the leaves, freeing the tree of the burden and giving us our annual November exercise.